This is an example of a Laser Engraved Wood Signs for a Restaurant. 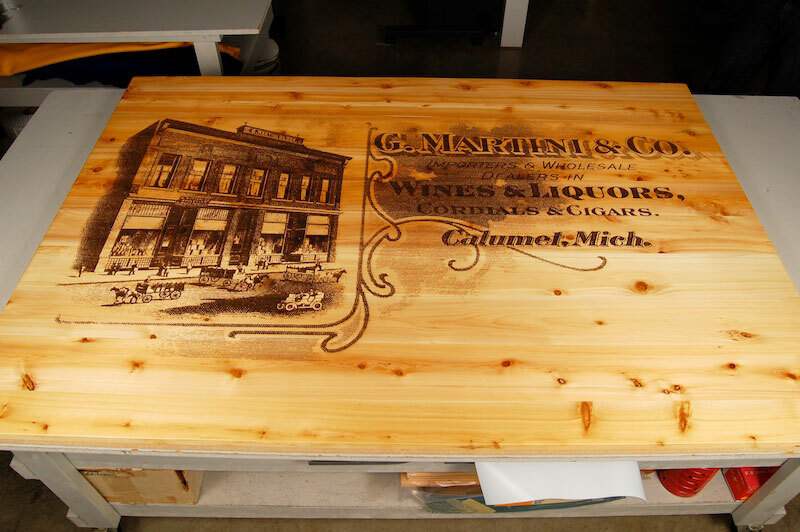 We laser engrave panels up to 52″ x 100″. If larger engraving area is needed we can always tile the panels. The engraved area can be sprayed a color of your choice. 1. Do I need to supply LCI with a cad file for Laser Engraved Wood Signs? A: Size of part you need cut, Type of Material, Thickness of Material and Color. If you don’t know any of this info, we can guide you. 5. Can LCI produce a sample piece before running large orders? A: Yes. We can make a production sample before large production. 6: Can LCI fill the engraving with color? A: Yes. We can spray just about any color into an engraved area or around it. 7: Does the image look crisp? A: Yes. As long as the artwork has good detail, the engraving will also look sharp.